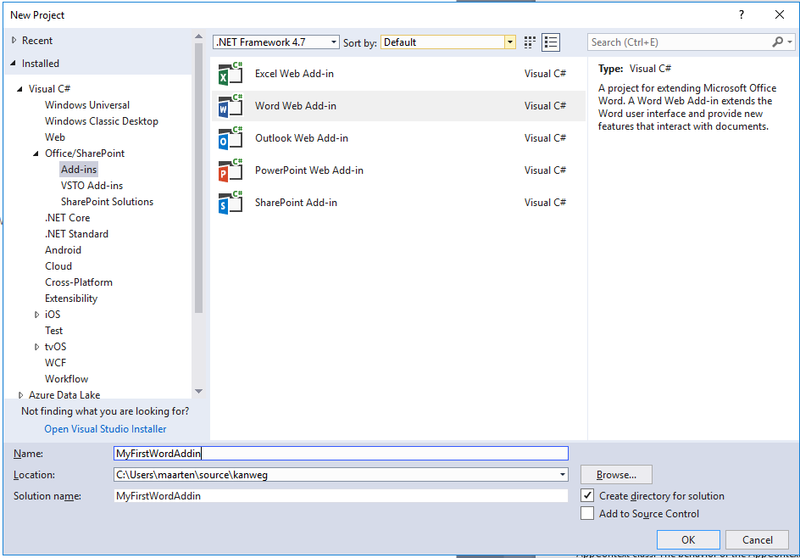 Boot up your Visual Studio IDE and select File, new Project. 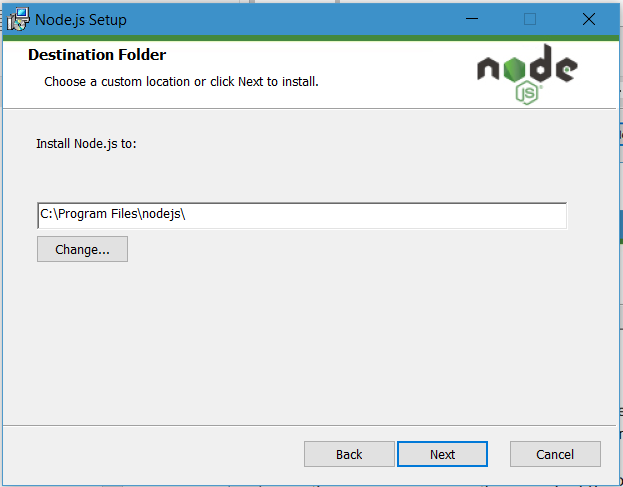 In the New Project Dialog select on the left hand of the dialog the tree item Add-ins under the Office/SharePoint node. 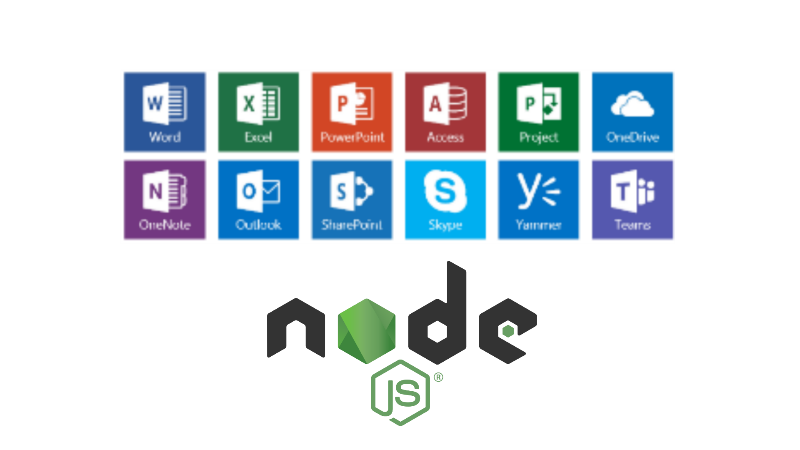 On the right hand you get options to build Add-ins for Excel, Word, Outlook, PowerPoint and SharePoint. Where were we? …. Oh, yes … Creating a new project. Name your new project any name you would like to give it, I opted for MyFirstWordAddin. Change the folder if you want to store it somewhere else other than the default project output path and click OK to start creating your project. If all goes well you’ll see the following ‘progress’ bar appearing on your screen. 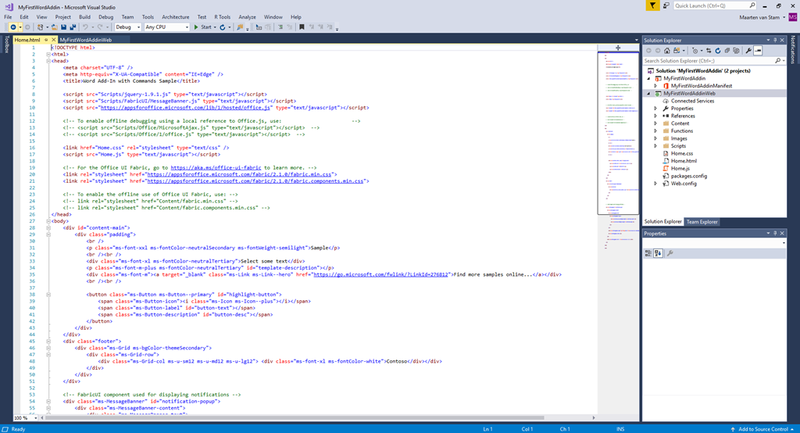 Now it is time to hit F5, the “Visual Studio Compile-Run-Debug Experience”. As we have seen ancient times ago the Office Dev team really tried to hide all the difficult stuff for you and it will create for you the security context to be able to actually run the Word Add-in without going through the hassle I described in other posts creating the Add-in using the command line tools like Yeomen. A one time only trust entry for your self-signed Localhost certificate. You’ll notice if you create a second project this dialog won’t show again as you already trusted it for your first project. Click Yes otherwise your Add-in won’t be trusted to run. 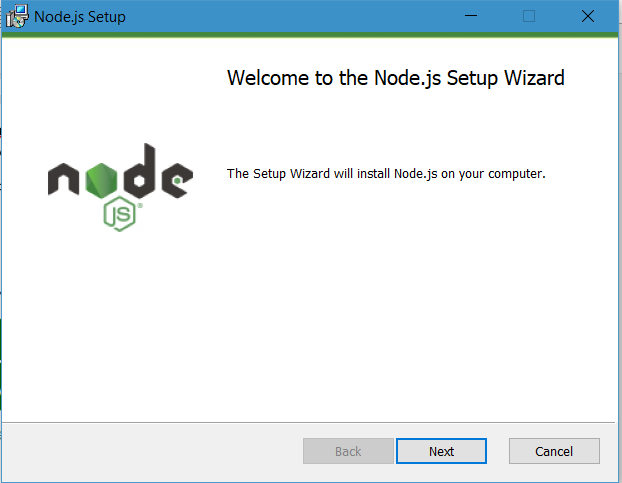 It will create the security context and an instance of Word is created and installed the just created Add-in. On the top right hand in the Ribbon in the Home Tab a button appears in the Commands Group with some easy instructions. You’ve seen as similar button and instructions on the command line Add-in we created a while ago. 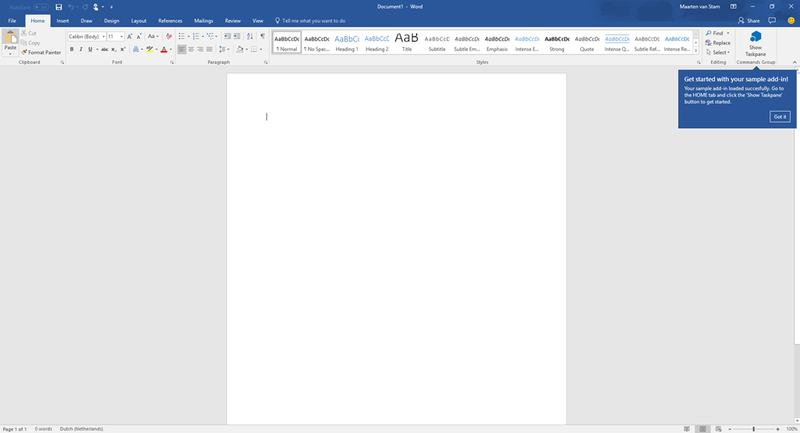 Click the button to have the Task pane appearing on the right hand. 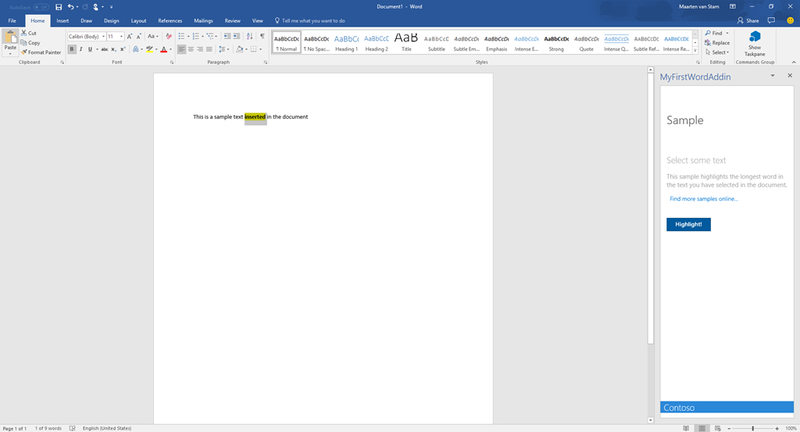 The sample Task pane wants you to select a couple of words in the document and if you press the Highlight button it will calculate the word with the most characters and highlights the word. That is all there is to it … no fancy pansy difficult stuff to get around creating certificates and trusting the certificates. 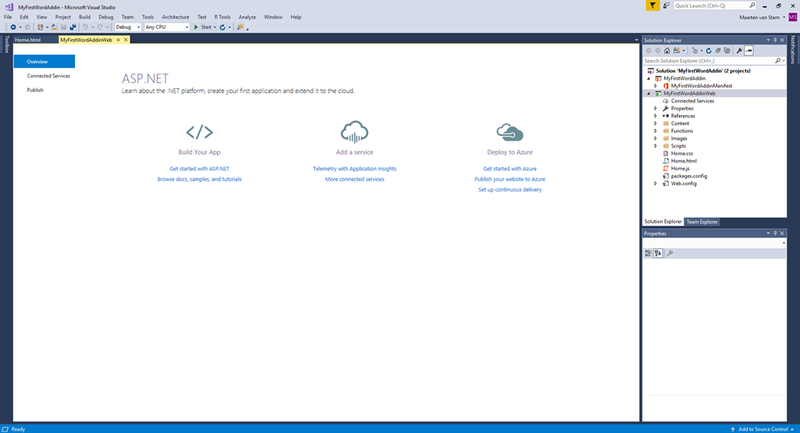 It is all done for you by the Visual Studio tooling. Impressive! I will go into detail a lot because this is what you often won’t see in the tutorials. By going into the small detailed steps, I hope you (and I for myself) won’t get lost. Also, I think it is just good to document it in detail so if you want to look back later all steps are easy to recover. The risk is of course that by then everything changed . 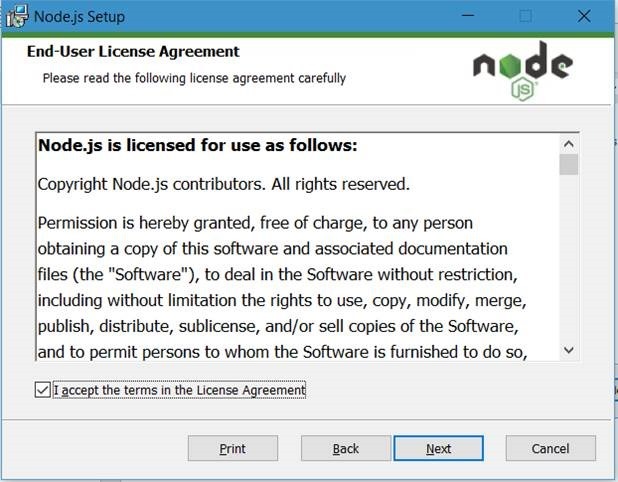 For this first Word Add-in, we will be using Yeoman and not to make things too complicated we start with Windows, the platform most existing Office developers come from. Yeoman is a Web Scaffolding Tool for Modern Webapps. That’s right webapps … welcome to the world of Web Developers. A world of weird named tools such as Grunt or Gulp and nothing like the .NET world. What you see is two options: LTS (Long Term Support) and Current. The LTS version is the most stable version and this is the version that they committed to support for the long term. With the Current version, you are on your own. For now, it is ok to install the LTS release. Select the Destination Folder (just leave as it is, or if you want it somewhere else change the path) and click Next to continue. 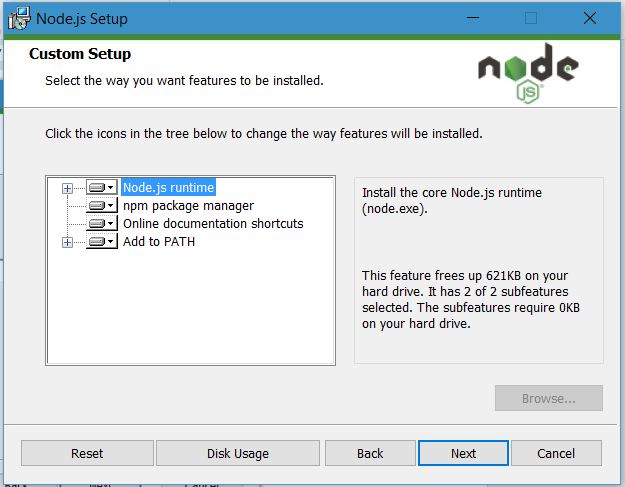 As you can see here is also the option to install the npm package manager. 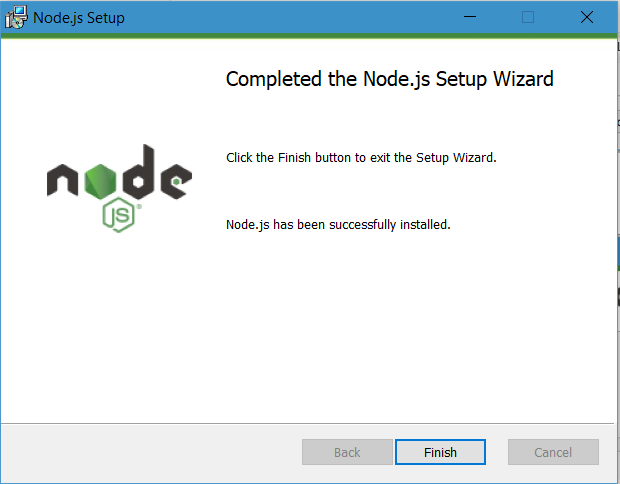 You’ll see later on that this tool will be used a lot to keep your installed packages up to date or just to install new packages. I just install all options here and click Next to continue. 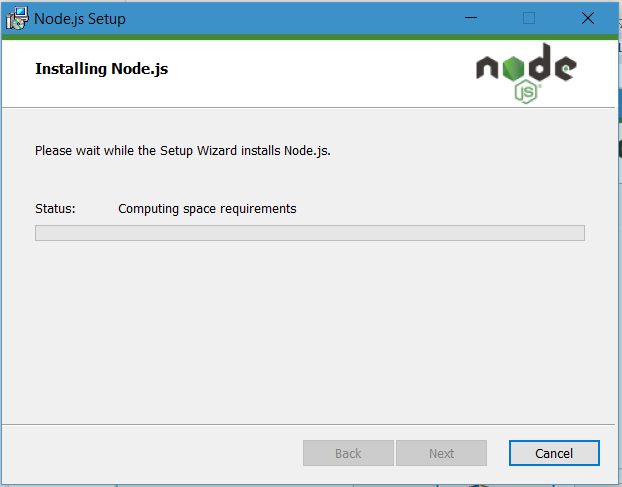 Ready to install Node.js … Click Install! 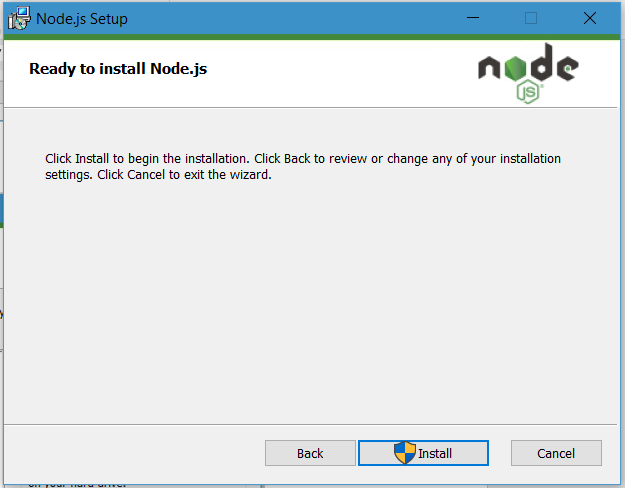 Accept the security dialog to install in elevated mode and wait for the installer to finish up.